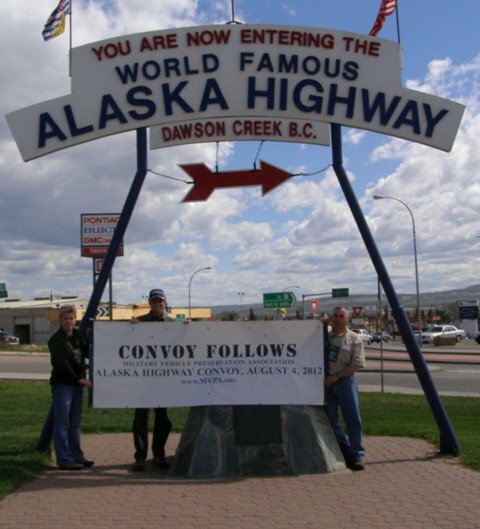 Only a year and a few months from now, members of The Military Vehicle Preservation Association (MVPA) will roll down the famous Alaska Highway in a convoy of restored historic military vehicles. 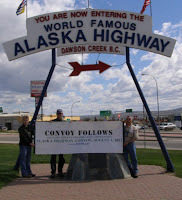 The 3,500 mile trip will celebrate the 70th anniversary of the building of the ALCAN Highway. Currently, the AC12 Route Recon Team is driving the course. They will be checking on road conditions, meet with contacts at towns and stopping points and confirming fuel availability, camping and lodging commitments. Facebook members can CLICK HERE to follow the Recon Team. You can view their daily postings, including photos and video. Members of the 1st Allied Airborne Reenactors will be attending the National MVPA Convention in Dayton, Ohio, August 5-6, 2011.